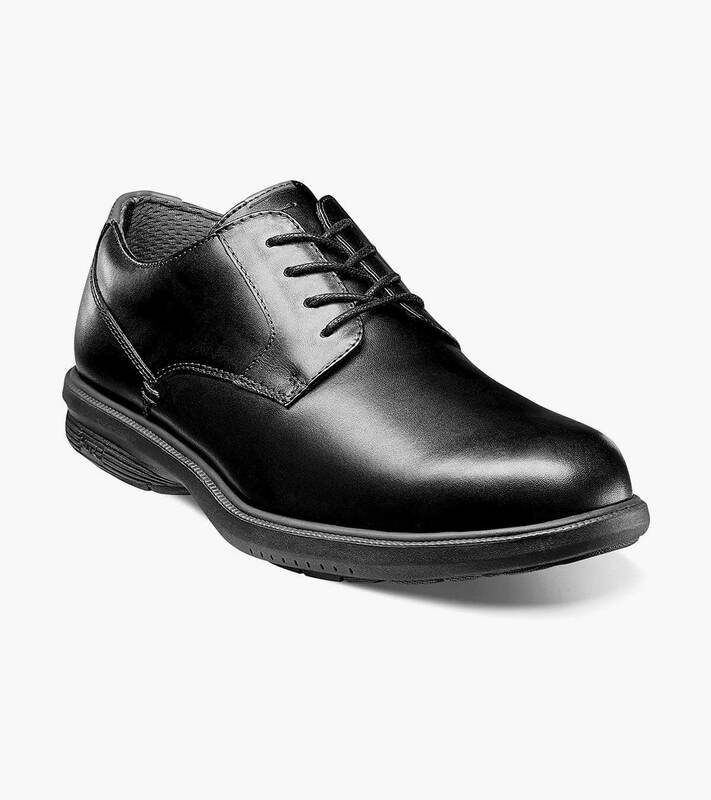 The clean lines of the Nunn Bush Marvin Street Plain Toe Oxford give this shoe a classic appeal. As part of the KORE M-Street Collection it also features updates like a cool wedge style sole, a Comfort Gel heel pad, and a molded EVA footbed. We even added a slip-resistant sole with a rolling impact zone heel that makes for more comfortable walking.